Splatball is a paintball store in Minneapolis as well as an indoor paintball field. It is the place to plan your extreme paintball experience. Our facilities are designed to accommodate both paintball enthusiasts and their fans. We play, rain or shine, or snow and cold at Splatball because it is all indoors! Be sure to wear clothing you can get dirty, ’cause paintball action can get messy! Our paintball store in Minneapolis carries all of the biggest brand names in paintball guns and gear. Get everything you need to play the game you love at Splatball’s pro shop. Not sure if you are ready to buy? All of our locations offer equipment rentals for a small fee. We certainly have calendar year long year passes available that include free of charge entrance and discounted paintballs. Equipment rental is provided within a Standard package deal and an up-graded Superior package. Equally packages involve cost-free, throughout the day, compressed oxygen refills. All players must sign a liability waiver before participating games. games are monitored by our pleasant, knowledgeable personnel. Splatball is the ideal location to plan the next birthday party festivity or bachelor/bachelorette celebration. Call ahead and save a period of time to your paintball celebration. Party game time concerns are available seven days a week. Walk-on sessions are available for individuals and groups who would like to play with other players of similar experience. Unique party deals are available, in addition to devices hire. 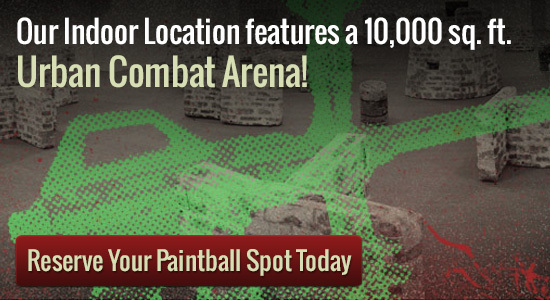 You are required to use paintballs purchased onsite, although players can bring all their own equipment. Both private play and walk-on play are available at Splatball. Private games and walk-on sessions are available throughout the week. Our facility can support groups as large as 150 players. You can reserve your spot by giving us a call at 612-378-0385. Spots fill up fast, so make sure to book at least a week in advance.